hey thanks for the link to the github code! I’m just having alittle trouble dissecting the different parts of the code but I guess I need to analyze the code longer. Thanks a lot for these tutorials. Happy 2015! I also saw High Flyer by GameGrape Studios that used SDL2. Here’s this link if you want to check it out, http://gamegrape-studios.itch.io/ Hey do you have a Skype? We should talk sometime! see you later. I think that’s completely normal. It’s a C-library so function names are short an not very descriptive. But just experiment with it on your own. Try writing your own chat client or something simple like that. If there is anything particularly you struggle with, feel free to post a comment about it. Give me your Skype, and I’ll add you. I don’t use it much though, so I’m rarely online. I have been kinda busy since I got a job way back in November. But I have gotten back into writing a little. Hopefully, I’ll have an article on TCP soon-ish. It’ll be fairly extensive and I might also update this post with some improvements. Regarding this part ; there is a bug in which you can only send one word at a time, I’ll update the article asap with a fix. Thanks for the great tutorial and example, helps out a lot! I was able to get your example to work locally on my computer and it does as expected. However I am unsure of what I need to do if I want to talk to other computers on my network? Do I need to change the IP address to something else? If so what could they be? Hello and thank you, I’m glad you find my tutorial helpful. Yes, you need different IP’s. The ip 127.0.0.1 basically means “my computer”. So in order for two different computer to communicate, both need to know the IP of the other. You can find the ip by opening your command prompt / terminal. On Windows you can start this by pressing Windows + R, then typing cmd and hitting enter. Hey!! Thanks for the tutorial! It helped me too much with my multiplayer game but i am having a big trouble about the latence.. for testing my game i usually open two instance of the game, these two games can communicate perfectly but if i move the charachter in the first game, in the other game it updates with some delay…( But if i move the charachter in the second game, the first game updates perfectly..strange ). I discovered that the delay time is equal to the time i spent since opening a game and opening the other game ( they have the same souce code ). The game consists of a loop that sends data of the player 5 times (5 ints) and receive data 5 times.. so if the game 1 send 5 packets per frame, the second game, at its runtime, and with the same velocity of loading packets (5 per frame) will not reach the number of game1 packets sent. So it will load all the packets since the older to the younger and know i understand why this delay.. i don’t understand how to fix it, the two games will never run at the same time.. can you help me? I?d have to check with you here. Which is not something I usually do! I like reading. Also, thanks for allowing me to comment! Now we know a bit about the UDP connection, let’s try to set ourselves up. For this purpose, we need the SDL_net library. 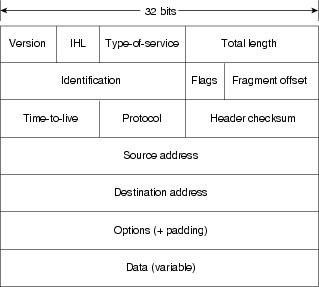 It is capable of setting and retaining both UDP and TCP connections. Since UDP connections are easy, we will only cover it for it only.